Dr Nah is a Registered Psychologist of Singapore Registered Psychologists (SRP) and Psychology Board of Australia (PsyBA). He has more than 15 years of working experience as a psychologist, and has assessed/worked with more than 1000 individuals with Autism Spectrum Disorder (ASD) ranging from 10 months to 60 years old both here in Singapore and in Australia (Adelaide). He specializes in identification of ASD and is also an active researcher. Both his research and clinical interests are in the early detection of ASD in young children as well as ASD across the lifespan. He also conducts psychoeducational assessments for suspected learning difficulties (e.g., dyslexia) and provides consultations on behavioural support for individuals and families. 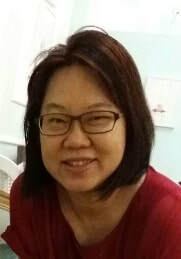 Ms Adeline Chin is a Registered Psychologist of Singapore Registered Psychologists (SRP), International Affiliate Member of Australian Psychological Society (APS), and Full Member of IAAP, International Association of Applied Psychology (US). She specializes in assessing and supporting (intervention) children and adolescents with additional needs. She is Orton Gillingham trained and a Certified Triple P (Positive Parenting Programme) facilitator. She has more than 20 years of working experience (since 1995) as a psychologist in various settings, such as schools, Boys’/Girls’/Children’s Home, hospital (KKH), Voluntary Welfare Organization and private settings. She has been providing positive parenting training, Standard (Individual/group) or Standard Pathways (Individual/group) for Clinical Forensic and Psychology Branch (CFPB), Ministry of Social and Family Development (MSF) since 2006. She was a supervisor of the Master students (Applied Psychology) of National Institute of Education (NIE), Nanyang Technological University (Singapore) and provided supervision for the Junior psychologists of CFPB, MSF and other psychologists in the Voluntary Welfare Organization. She was also involved in a joined Research Project (as a psychologist volunteer) - HASI Test Study, by The Law Society of Singapore, Ministry of Social and Family Development and Singapore Psychological Society in year 2012. John has been working with special needs children since 2006 and is well versed in Applied Behaviour Analysis (ABA) and is always eager to learn other therapeutic approaches. He holds a Psychology degree from University of Southern Queensland. From his years of teaching, he believes that flexibility is the key as every child learns differently. He also enjoys teaching sports such as cycling and swimming. He is a proud father of 2 young children. Cheryl Tseng holds a Bachelor of Arts in Psychology and Sociology from The University of Melbourne. Upon graduating, she worked as an autism specialist from 2004 – 2010. During her time there, she was trained in ABA, conducted individual therapy, provided shadow services, ran social groups, and served as the lead teacher at their in-house kindergarten and primary school. Upon leaving, Cheryl held the role of Senior Therapist. From 2011- present, Cheryl has continued working in the field with children on the autism spectrum and other developmental challenges. She continues to provide intensive ABA therapy, specializing in early intervention and aggressive behaviour as well as provide emotional and behavioural support for children with other challenges. From 2015 – present, Cheryl has also taken on more academic teaching, giving assistance to differently abled students who struggle to cope in the subjects of Maths, English and Science. Wendy has been active in working with individuals with special needs for about 9 years using the Advanced Behaviour Analysis (ABA) methodology amongst others. Her work involves teaching essential skills such as behavioural regulation, learning to learn skills, language acquisition, social, communication, and functional independence. She works with individuals and groups in a wide age range, from toddlers to youths across various ability levels. Her experience also includes working with parents and staff to help them acquire skills necessary for successful home support. Huimin holds a Postgraduate Diploma in Psychology from Swinburne University and a Bachelor of Arts (Psychology) from The University of Melbourne. She has been working with children and youth with special needs since 2002. She was with an Autism specialised school for 6 years, focusing on educational placements, social skills, and behavioural management. During her time there, she also conducted parent and teacher training as well as provided school support. From 2008-present, Huimin has been conducting home-based therapy and academic-bridging classes for special needs students (i.e. ADHD, ADD and Dyslexia) in mainstream schools. Shirley holds a Post-Graduate Diploma in Psychology from James Cook University and a Bachelor of Arts (Psychology) from Deakin University. Upon graduating in 2009, she worked as an autism specialist and is trained in ABA and other social-cognitive techniques. Shirley conducts one-on-one sessions and group sessions with children ranging mainly from toddlers to preteens. She also enjoys working with teenagers by helping to support their daily living, social, and academic skills. Kit holds a Bachelor of Science (Psychology) from The Open University, United Kingdom. She is also a State Registered Nurse with the Singapore Nursing Board and achieved a Diploma in Counselling Practice with Counselling and Care Centre. She provided professional counselling in Secondary schools for five years. She then moved to working with children and youth with special needs. She was with an Autism specialised school for 9 years, focusing on educational and job placements, social skills, and behavioural management. She also provided job assessments and coaching, which included job support for clients in their job postings, and conducted parent and teacher training as well as providing school support. Germaine holds a Bachelor of Psychology from The University of Western Australia and a Bachelor of Arts & Social Sciences (Psychology & Math) from The National University of Singapore. Upon her graduation in 2004, she first worked with children and youth recovering from trauma-related issues. This involved conducting assessments, making treatment recommendations, and providing individual and group therapy. Her clients also included parents, significant family members, and school staff in relation to the child. Trained in Triple P - Stepping Stones (Positive Parenting Programme), she went on to work with children and youth with special needs in an Autism-specialized school, with a focus on social skills training and behavioural management. This also involved parent and teacher training, as well as school support. Sandy is a trained MOE educator specialising in the Teaching of Physical Education and English. She has supported the learning of mainstream and special-needs students for over 10 years. A mother of two young children, Sandy finds fulfillment in interacting with students and guiding them on their educational journey. She believes in the importance of encouraging and motivating students to explore the world around them. She also holds a Bachelor of Business degree from Monash University. Paul completed his Honours and Masters degrees at the University of Auckland, specialising in cognitive neuroscience. He then completed his PhD at Victoria University of Wellington in social psychology. After working as a post-doctoral fellow in Europe and a research fellow at the National University of Singapore (NUS), he now lectures part-time at NUS as well as working at the Practice. Paul has published in numerous peer-reviewed international scientific journals and he has presented his research at international psychology conferences. Originally hailing from Auckland, New Zealand, he now calls Singapore home.